There are so many ways to take a cruise, and so many different types of adventures one can embark upon. One of the most enjoyable and rewarding, however, are those that involve family. Bringing children along may seem like a big commotion but those family holidays together provide priceless memories and are a great way of helping your kids explore and understand the larger world around them. 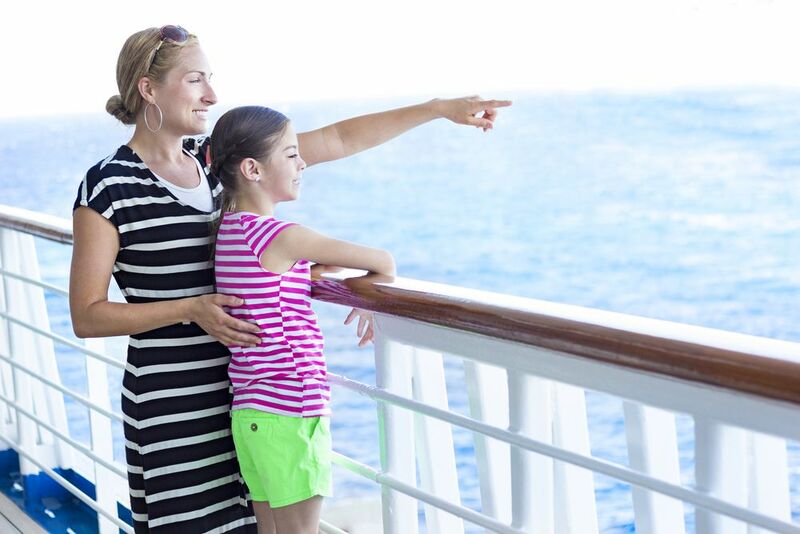 If you are thinking of bringing your kids on a cruise departing from Southampton but are looking for a few pearls of wisdom before doing so, this guide full of advice, tips and tricks to make your cruise with kids a success, will be invaluable. Don and Heidi of the cruise blog Eat Sleep Cruise, a site for news, reviews and travel tips, are well versed in the world of travel and cruise ships. Fortunately, they were happy to share some of their top tips for those travelling and had a few things to say regarding youth activities, age groups, and additional services for infants. “Once on-board, it is best to check your children into the youth activities centre on Day 1 so they can meet the staff and some of the other children who are also on-board. This will ease some of the concerns if the little ones are a bit apprehensive about participating in these programmes or being apart from mom and dad. “You will also want to investigate the children’s programming, including how the cruise line separates children based on age. Most lines have separate areas for different age groups. If the siblings vary in age, they might not be in the same dedicated spaces, which of course, the kids may or may not like. “My children have now been on 4 cruises, all longer voyages with multiple sea days, and they are constantly begging to take another! This is in part because of their love of buffets – boy these kids love to eat! They also really enjoyed the kids' clubs – we wanted them to stay with us, they wanted to go and play. “My advice to parents planning a cruise would be to carefully consider which cruise line and style of cruising best suits your family. We enjoy very casual, informal cruising with no dining times or dress regulations (Norwegian Cruise are our preferred cruise line for their freestyle dining). 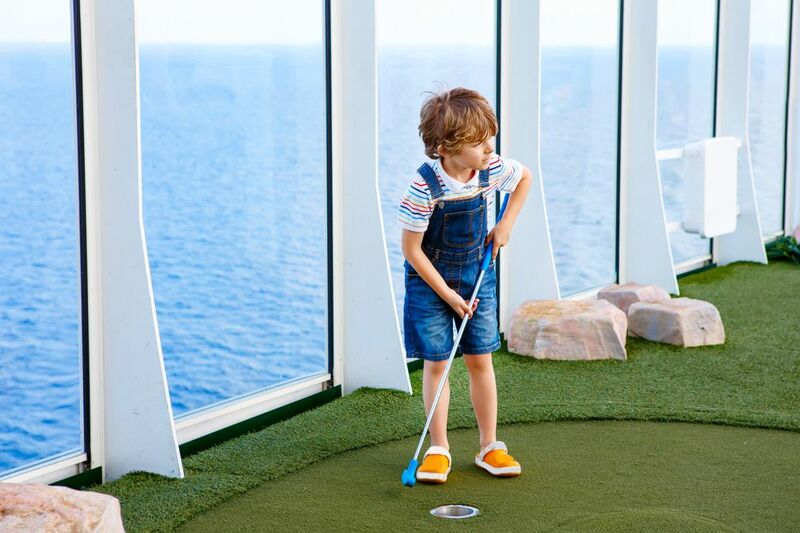 “We also look for ships with facilities that suit the age of our kids, they like water slides, rope courses and go carts, not so much nursery or crèche facilities. Check out the evening entertainment options too – are the shows something that your kids will enjoy? Ours have enjoyed magic shows, Katy Perry and Aerosmith tributes, all sorts of musical performances, not so much pianos and ballroom dancing. Are you are worried about the type of cabin to book? How many cabins you need and how to manage your family’s accommodation? Well, Don and Heidi of Eat Sleep Cruise have advice to set you on the right path. “Depending on the age of your children, it might make sense to purchase two adjoining cabins, instead of one larger ‘suite’ or family style room. The additional bathroom and space of a second room can come in handy. Not to mention, booking two standard rooms can actually be cheaper on some ships than the larger accommodations." 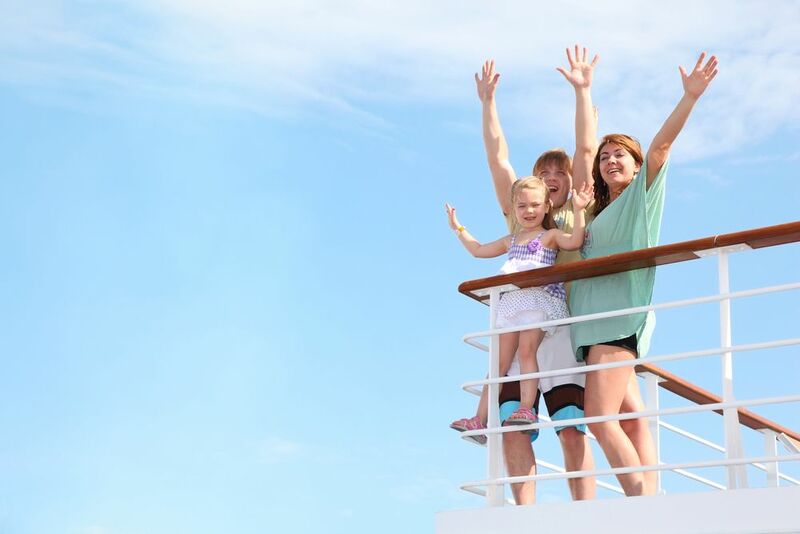 The emphasis on selecting the right cruise for your children’s wants and needs is deliberate, but not only is this smart for providing your kids with the best holiday possible but choosing a cruise and cruise line that is welcoming to kids will also allow you and other adults that much sought after alone time. This is a point touched on by Gary Bembridge, a travel and cruise writer, podcaster, and YouTuber. His website Tips for Travellers is full of inspiration and advice for luxury travel. “Make sure you take them on a cruise line that really caters for and welcomes children” advises Gary. “This will ensure you have the best facilities like Kid’s Clubs, kid-friendly activities and excursions, programs to allow you to enjoy alone time, find other kids and families to interact with and also ensure the other guests are welcoming and tolerant of having children around. “While most lines will have the ability and programs for families at key vacation times, they are not necessarily the best ones to take kids on. Both for the facilities, activities and programs but also in terms of the atmosphere and how welcoming other guests are to them. Look at cruise lines that want families to cruise with them and cater for them (and their parents too). Lisa from the family oriented blog Travel Loving Family (a site full of tips, reviews and destination guides), was able to share with us her own expert advice for cruising with children, suggesting that parents really research the various ports that a cruise ship visits, while also making sure to select the right itinerary. “My advice would be to do lots of research before booking your cruise. Not only are you looking for a ship that has good kids’ facilities (kids’ clubs, kids’ pools, etc. ), you also need a cruise itinerary that works for your family, e.g. a Southampton to the Caribbean crossing for some families may be great as they may enjoy plenty of sea days but if you are a family that enjoys exploring ports this is not the best itinerary for you. Likewise, you may not wish to spend time travelling from ports to the main cities/attractions and therefore ports such as Civitavecchia (which involves a one hour drive into Rome) may not be the best choice of port. Lisa has also just launched a brand new blog focused on the very subject of this article. The blog is called Cruising With Kids and is also being run with three of Lisa’s fellow family travel bloggers: Karen from Mini Travellers, Sarah from Extraordinary Chaos, and Claire from Tin Box Traveller.